Can Going Vegetarian Help You Live Longer? Maybe : The Salt Fresh research finds that men who ate vegetarian diets were less likely to die from heart disease and other heart conditions. But if you're looking for the definitive study that might persuade meat lovers to become vegetarian, this may not be it. PETA members hold placards on the street in Johannesburg. If you're looking for the definitive study that might persuade meat lovers to become vegetarians, this may not be it. New research published in JAMA Internal Medicine finds that vegetarian diets are linked to a slightly lower risk of early death — about 12 percent lower over a period of about six years of follow-up. But the link to longevity was more significant in men compared with women. The study is based on a one-time survey of more than 70,000 Seventh-day Adventists, a religion that emphasizes healthful diets and abstaining from alcohol, caffeine and tobacco as part of a godly lifestyle. Not all adherents are vegetarians, but the church considers a meatless diet to be the ideal. The participants filled out a questionnaire so that researchers could determine whether they were meat eaters, semi-vegetarian, fish-eating vegetarians, lacto-ovo vegetarian (which the study defined as consuming meat or fish rarely, and eating eggs/dairy sometimes), or vegans. The researchers found that men who were eating vegetarian diets were less likely to die from heart disease and other heart conditions. In women, there were no significant reductions in death from cardiovascular disease. 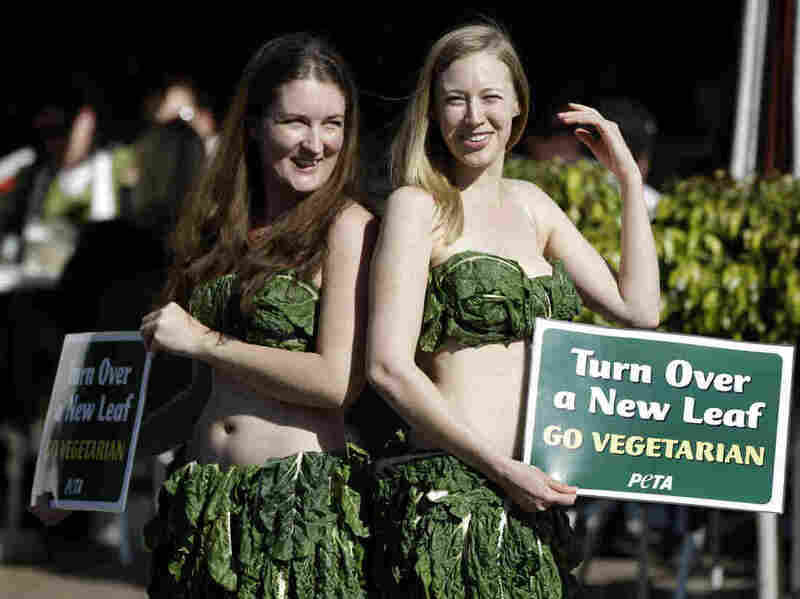 Now, many of us are eating less meat these days owing to environmental, health and animal welfare concerns. And as a Portuguese toddler reminded us in a video that recently went viral, the sheer ick-factor of realizing that meat comes from a dead animal can play a role, too. But if a person's motivation is only linked to health benefits, you might ask whether this study nails down a cause-and-effect relationship between skipping meat and living longer. The answer: Absolutely not. As is typical of nutrition studies, this research points to an association. And it's important to point out, as the authors note, that the participants following vegetarian diets also tended to be more highly educated, to drink less alcohol, to smoke less and exercise more compared with the participants who regularly consumed meat. Another limitation is that people's dietary patterns tend to change over time. And since this study relied on a single measurement (asking participants just once about their dietary patterns), the study doesn't capture any changes over time. An accompanying commentary published by the journal concludes that while the researchers used state-of-the-art approaches to try to tease apart the effects of diet from all the other lifestyle factors that may play a role in longevity, it's tough to do this. Prior attempts to examine the relationship between mortality and vegetarian diets have led to mixed results. A large European study found no longevity benefit for British people following vegetarian diets. But a prior study of Seventh-day Adventists in California did point to increased longevity. As for the new study, it "provides additional evidence that vegetarian diets are associated with improved health outcomes, including all-cause mortality," writes Dr. Robert Baron, who authored the commentary that appeared in the journal alongside the research. But Baron — a self-described ovo-lacto vegetarian — also makes the case that meat (and other animal products) are just one component of a person's overall pattern of eating. Other factors, he notes — such as how much sugar, salt and refined grains we consume — are also an important part of evaluating the healthfulness of our diets. Marji McCullough of the American Cancer Society told us in an email that these findings fit with previous research that points to the "health benefits of a diet low in red and processed meats." However, she notes, "it's possible that the people who don't eat meat have other health-conscious behaviors that contribute to the findings."